When Cooley’s opens next year, you won’t be able to dance and you’ll have to finish your meal by 2 a.m. and won’t be able to order a drink after 1:30 a.m. But then again you won’t have to pay a cover charge or wait in a line on the sidewalk to get in. Those are among the stipulations in a report by city planners to Community Development Director Stephanie DeWolfe, who will consider the proposal by 8956 SMB Operating Co. LLC to open what it is calling West Hollywood’s first “gastro-pub” early next year. DeWolfe will rule on the proposal, which the planners in general support, at a hearing at 5 p.m. Tuesday at the Community Meeting Room at the West Hollywood Library at 625 N. San Vicente Blvd. south of Santa Monica. 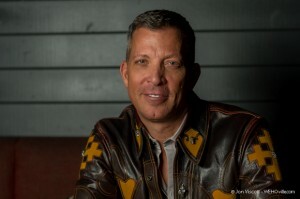 8956 SMB is a Delaware-organized entity owned in part by David Cooley, founder of the Abbey, which is widely regarded as West Hollywood’s best-known and most successful gay bar and restaurant. The Cooley’s space formerly housed Raffi’s Jewelers, Balliamos dance studio and Unicorn Alley, an “adult” store, on the south side of Santa Monica just east of Robertson. Cooley is billing the establishment as a “gastro-pub” restaurant and beer garden. Its Santa Monica Boulevard facade will be recessed to permit a 1,000-square-foot outdoor dining area. Cooley’s also plans a 3,000-square-foot dining area at the rear of the space, facing West Hollywood Park. The design drew praise from city planners. “Overall the project represents high quality architectural design that provides a strong urban design response to both the street and the alley or park sides of the project,” the staff report says. The report says that Cooley’s has applied for a license from the state Department of Alcoholic Beverage Control that is granted to restaurants that also serve alcohol. But it notes that the application has been put on hold pending DeWolfe’s decision. ABC says there are 14 other establishments along North Robertson and along a stretch of Santa Monica Boulevard that serve alcohol. The businesses it cites extend from Mickys, at 8857 Santa Monica near Larrabee, to Hamburger Haven, a burger restaurant at the corner of Santa Monica and Robertson that serves beer. That area, known by some as “Boystown,” is a major gay nightlife destination. Another issue for Cooley’s is parking. While it will require 69 parking spaces, the renovation of the space will leave only four. The requirement for the other 65 will be satisfied through the city’s parking credits program, which allows a business in that area of town to pay a fee in lieu of supplying parking spaces. The assumption is that customers will park at various public lots and garages as well as public spaces offered at the Pacific Design Center’s Red Building. While the parking credit program was put on hold in August, Cooley’s already had acquired the credits needed. While Cooley’s has won praise from city planners, it has faced criticism from others in the neighborhood. Alfredo Diaz, owner of Revolver, a gay bar on the northwest corner of Santa Monica Boulevard and Larrabee, has posted comments on WEHOville about the impact of Cooley’s on the adjacent West Hollywood Park. Other bar owners, who decline to be identified, are concerned that Cooleys will lure customers away from their establishments. Jonathan is correct–I too have been waiting for the feds to come in and clean up the obvious developer payoffs and illegal council perks. Traffic and lack of parking are ALREADY awful, yet we keep building. And Ezekial is also correct–we are a gay haven and need to start that way. The straights have the rest of the world! @Todd your comments on the Delaware issues are exactly right. Almost every partnership or corporation in America is formed in Delaware for legal reasons. Taxes will still be paid in California on all income earned in California. Also, everyone always talks about the parking situation, last time I checked with the addition of the library parking lot there is more parking in Weho then ever. Also, I don’t think the opening of Cooley’s is going to bring throngs of new people to the city it will just move patrons around and they shouldn’t be driving to the bar if they are going to drink anyway..
@Jonathan Delaware has very business-friendly corporate and LLC (limited liability company) laws. The state has an entire court and legal system dedicated to corporate law/governance/law suits. Most large companies are incorporated in Delaware so that they can take advantage of the laws in case there are shareholder lawsuits. A Delaware entity can be used as a tax dodge, but not likely in this case. Regardless of the state of formation or incorporation, if a company does business in California, it’s taxed like any other business ($800 minimum tax, LLC gross receipts tax, corporate franchise tax, etc.). It’s likely that the entity is an LLC, so that the losses (and eventually income) pass through to the LLC members, one of which is Mr. Cooley. Good grief, could that “concern” about the park seem any more transparent? Yes, I’m sure the owner of a competing bar is motivated only by his passion for maintaining a secluded sylvan glade where the only sounds are the chirping of birds. Amazing but not surprising that city planners give praise to the project. Please Planners let him build it but with a fully glass enclosed patio in the rear. You will be sorry about the noise in the park and once done there will be no turning back. If this was not “David” but maybe Another developer would this be happening ? Conflict maybe ? Last question Why Delaware ? Tax advantage ? Clearly someone is not thinking in the planning department of the real future of the city and its issues. The public comments just go ignored. And for the record there were others besides bar owners that commented. I have no ownership interest in a bar nor did several others in the last article. Its perfect that this “approval” comes on the same day that we see another major project being planned for the blvd. Simple question where are all the cars going to go ? Anyone been around the grove lately and they have basically four major entry points. I had to run from Robertson and Melrose to Beverly and Fairfax at 4pm on a weekday it took 45 minutes. Let development happen but someone open your eyes to what is about to happen to an amazing city. At what point does the federal government step in and check the allegations about the concern for corruption in our city as has happened in so many others. Family of housing staff living in low income housing, buildings being torn down increased in size and use and with no neighborhood input or permits to start off, all of these parking credits, at what point are they over sold, new passes being sold to businesses for neighborhood parking when there already is not enough for the people that live there. Somethings just not right. This city is opening itself up to major lawsuits in the future from people run over in the streets and killed to wrongful ticketing and development issues. But I guess its ok we have connections there too !! Please someone open their eyes. Very convenient that Cooley’s had already acquired the parking credits before the program was suspended in August. Clairvoyant, really. Also good to know that the PDC Red Building will open up its parking lot for after-hours usage. At least something in that building will be used. I think the staff recommendations are prudent. They should also address valet parking. Will it be offered? If it does, that will take away at least 2-3 on-street spots in front of the establishment. 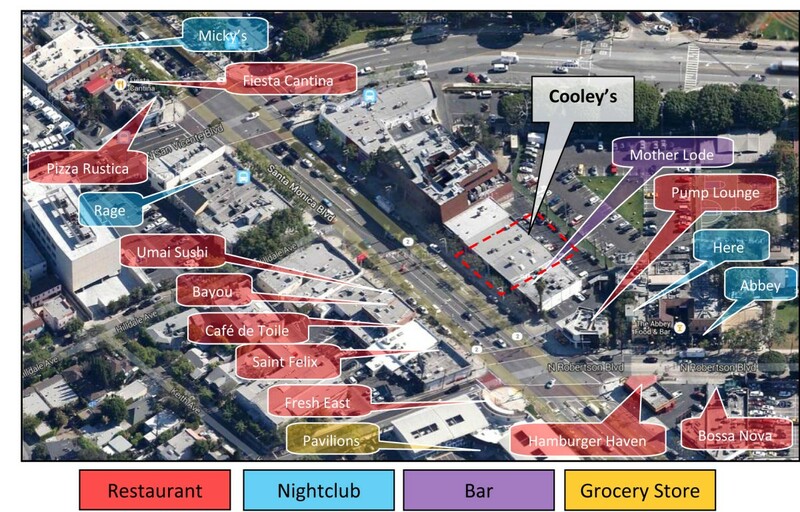 Mr. Cooley owns “part” of the entity that will own/operate Cooley’s. Is that a controlling interest? Who/what entity owns the rest of it? Is it SBE or an SBE-related company? The map is also wrong. Pizza Rustica is on the south side of SMB, next to Citibank. The marker points to Z-Pizza and I don’t know if Z-Pizza has a license to sell beer/wine. The map would be more helpful if it included Revolver, Eleven and Trunks.